My recent install of Ubuntu on VirtualBox 3 went surprisingly well and was completed within 30 minutes of acquiring the ubuntu iso file. This is my first experience with VitualBox and to date I have been really impressed with how stable the virtual machine has been, and particularly impressed with features such as seamless mode. VirtualBox really has a lot to offer for a piece of free open source software, however I did come across a small problem. 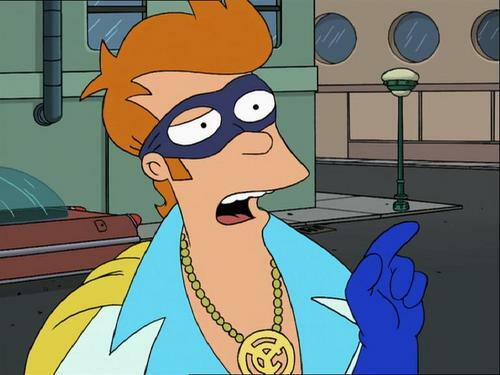 Immediately after installing Ubuntu onto the VM I noticed that the screen resolution would not go any higher than 800×600. I’m not sure if this is an issue everyone would experience in the same way after install, or whether the issue was specific to my setup, however there is a simple solution. A few Google searches revealed suggestions that this was somehow something to do with the video memory allocated to the virtual machine, and as I expected this was false information. 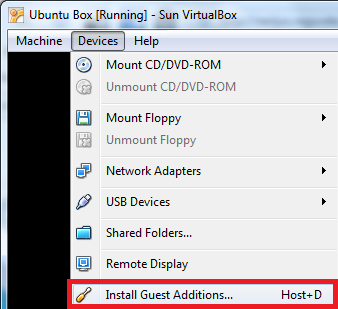 The problem was actually that you need to install the “VirtualBox Guest Addons” on the guest machine. 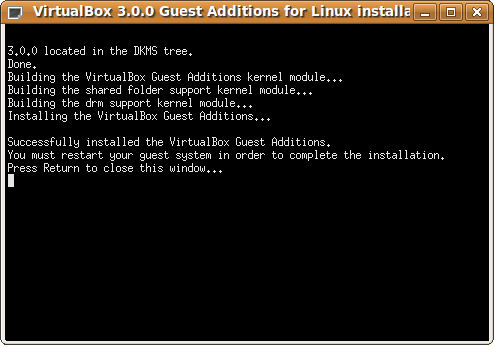 VirtualBox package this toolkit up really nicely, and allow the toolkit to be directly mounted onto the guest environment for installation. Here is a quick guide on how to install the “Guest Addons” toolkit in order to improve your display resolution (amongst other things). Devices > Install Guest Additions…. As soon as this is done you should see Guest Additions virtual disc mounted onto the desktop as shown below. Open up a terminal window, navigate to the mounted disc ( usually /media/cdrom0/ ). On the CD there are separate installs for different architectures (x86 / 64bit), however if you are unsure, the fail safe option is to run the autorun file script which should detect the system architecture and begin the appropriate install. You should see the installation progress as shown below. Once the system has rebooted you should be able to pull up the screen resolution to the maximum supported. 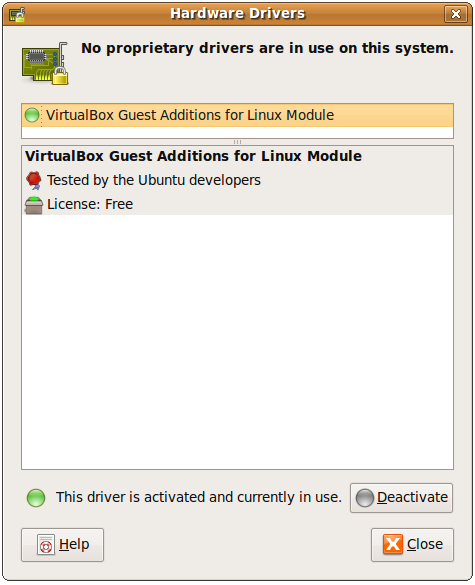 You should also notice that the Guest Additions toolkit has been installed under the hardware drivers dialogue box. Categories: General, Ubuntu | Tags: guest addons, screen resolution, Ubuntu, virtual machine, virtualbox, virtualization | Permalink.